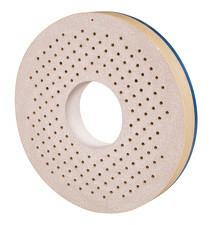 HC grinding wheel | TOA Grinding Wheel Manufacturing Co.,LTD. Dry and wet grinding of the ends of spring. 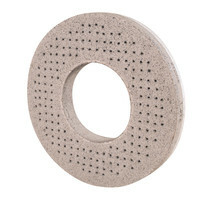 Composed of low heat generating hydrated ceramics as a bonding material, containing micro-pores. Protection of loading by the action of low temperature decomposable components. Both dry-and wet use type, containing no chlorides which lead to corrosion.